I should probably start by apologizing. I’m sorry that I have not posted any award winning blog posts in the last few weeks. 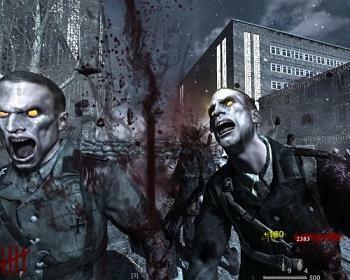 The excuse that I had to study for Finals Week would have been a good way out, but I’ll be honest and admit that my time was taken up by a little video game called “Call of Duty: Black Ops.” Who can blame me for letting it consume my life when I have a roommate who is obsessed with the game? It’s important for me to keep up with my competition before he gets too good. 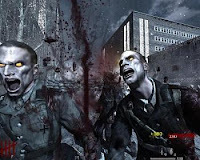 However, now that my Xbox is sizzling from being overplayed for the past month, I couldn’t have picked a better time to discuss something that has nothing to do with shooting Zombies. Before I give away what the topic is, I would like to take this space to give a quick shout-out (or write-out) to my sister, Kim. She spent a lot of time, money, and effort on the new banner for my blog page, and for that I thank her. Okay, moving on. 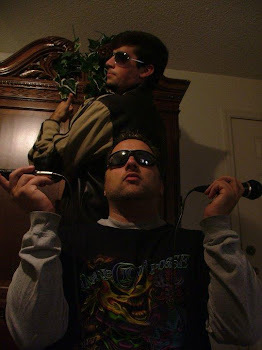 Having Boxer & Clover on Dead Serious Radio kept up the trend of having Orlando bands on our show. I would call it a coincidence, but on the other hand it seems like there’s an overabundance of musical talent coming out of that area. Gavin and Evan came on the show to discuss their new album, “Fate Has Favorites,” which was just released on November 8th. This album was highly anticipated after the release of their EP titled “What Happens Here” made a big impact on the internet music scene back in 2009. Boxer & Clover’s new 6-track album consists of smooth songs like “The Attic”, and “Systems in Tune.” You can purchase these songs and the rest of the album on iTunes for under $6.00. I’m no Christmas consultant, but I would say that “Fate Has Favorites” would be a great gift for the music lover in your life (especially if you’re looking for quality music on a tight budget). At one point during the interview with B&C on Dead Serious Radio, we were crunching some statistics about the band based on the Purevolume.com song rating system. 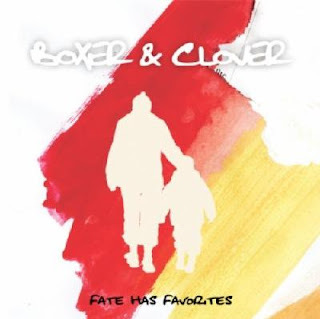 In December 2009, Boxer & Clover’s song, “Adding to 100 Years of Silence,” was ranked higher than songs from many well-known bands like Fall out Boy, Owl City, and Paramore. This led me to make the bold statements that will echo throughout the halls of music forever: “Boxer & Clover is better than Paramore.” I may not have been the first person to say that, but at least I was the first person to declare it on Dead Serious Radio. If you haven’t figured it out by now, Boxer & Clover is really taking off and making their mark on the music industry. I can see them becoming a household name in the years to come, and an iPod essential. As we all know, Dead Serious Radio is the main stage for my professional opinions about up-and-coming bans. I do my best to push the boundaries and say what others don’t have the courage to say. That is why I’m all ALPHA. If you want to listen to the full interview that I had with Boxer & Clover on Dead Serious Radio, click HERE. In the upcoming weeks, I will be talking about my other interviews with The Girlfriend Season and Sound We Sleep. I’m glad I didn’t tell that to you face to face, because I know your overexcitement would’ve ended up hurting me somehow.